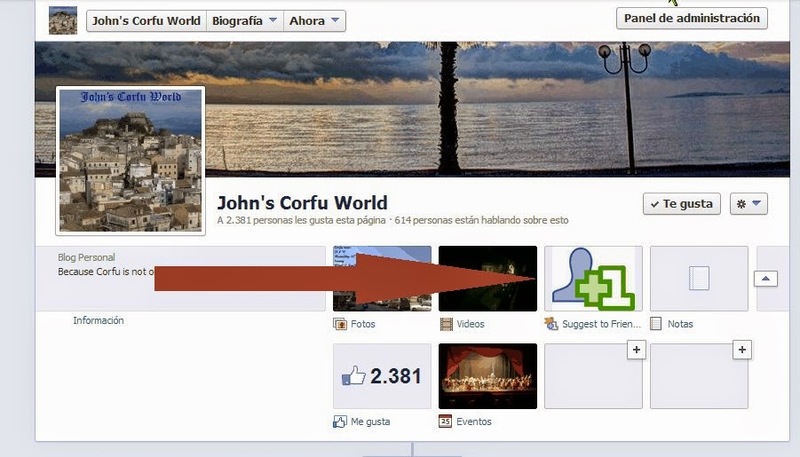 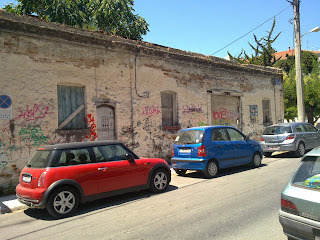 The Corfu Automobile Company was founded in 1920 by Stauros Christidis. It was the first taxi company and it had its base at the car station at the intersection of Rizospaston Voulefton and Polila street. 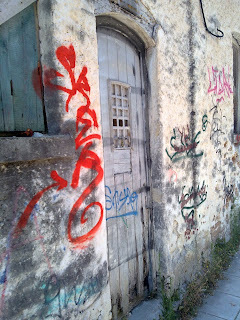 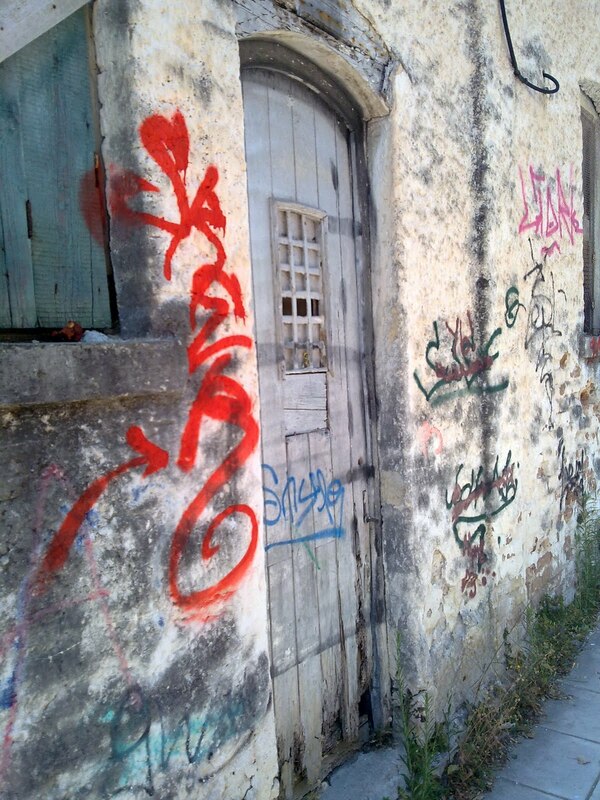 Today this old garage building still survives, although being boarded up. 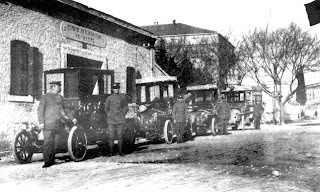 Here is a 1920s photo with Corfu's first taxis parked outside the garage. Right below is a recent photo taken roughly from the same angle. 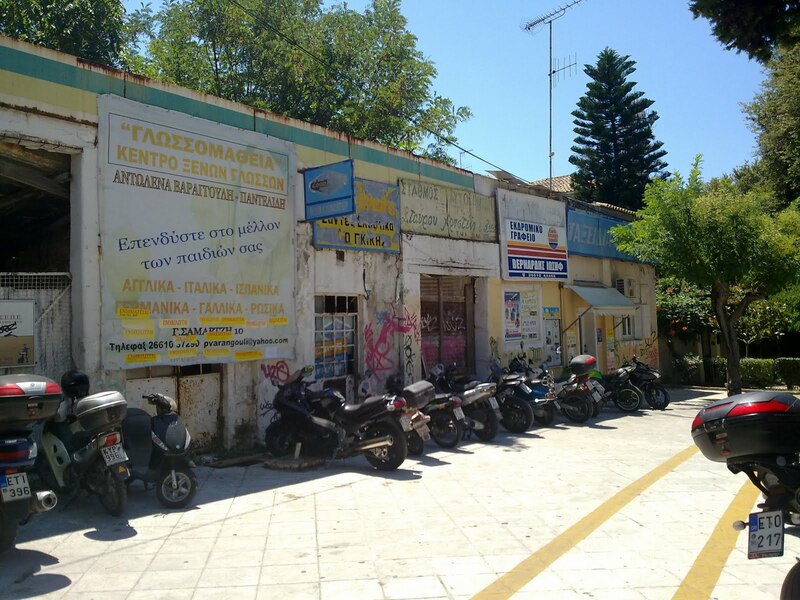 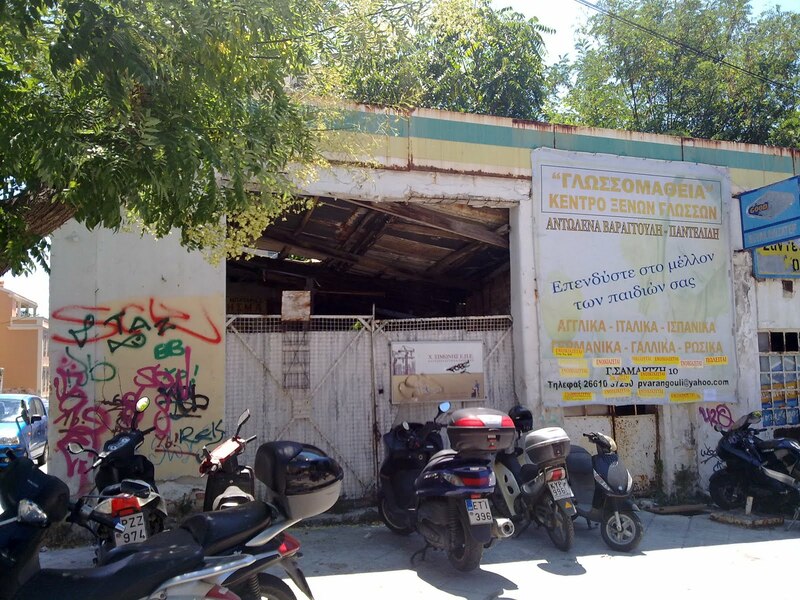 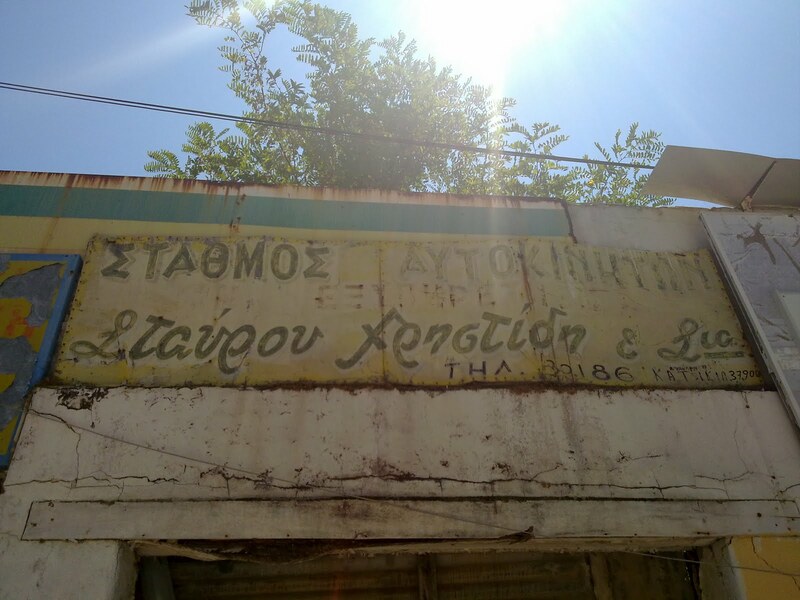 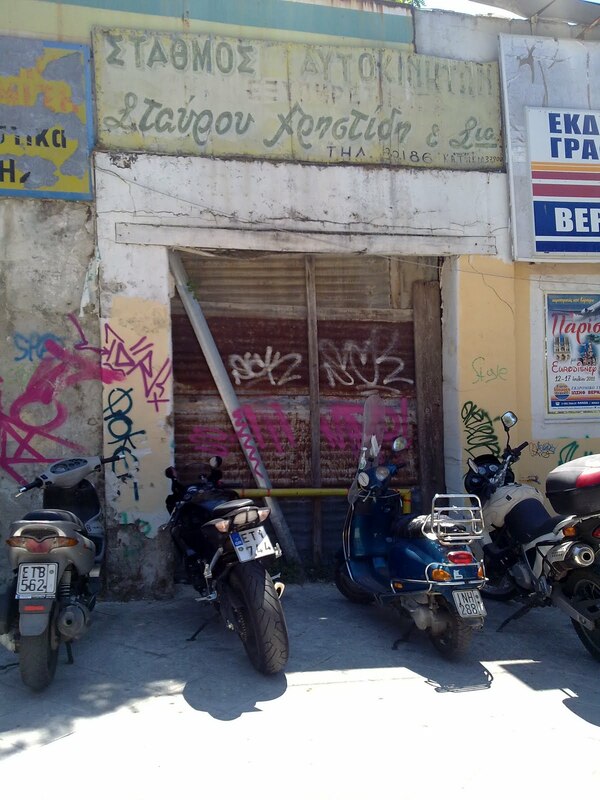 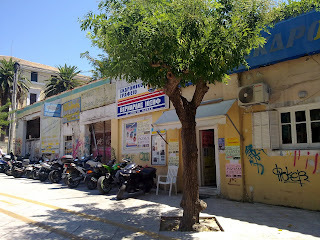 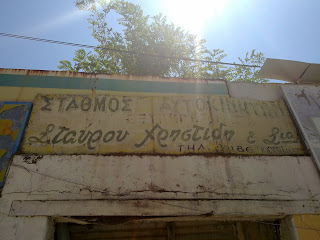 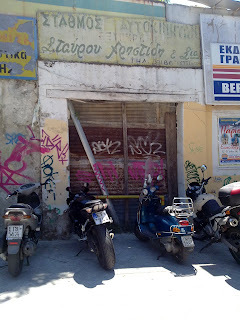 Few more photos of the garage building - notice the 60s style sign: "Automobile station - Service - Stauros Christidis & Co."
The premises had been abandoned many years ago and maybe soon they will be torned down to make way for a new apartment building.